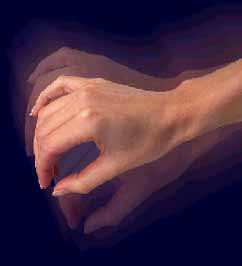 Essential tremor (ET) is perhaps the most common type of tremor, affecting as many as five million Americans. ET differs from the tremor in idiopathic PD in several ways: ET occurs when the hand is active (as in eating, grasping, writing, and such). It may also occur in the face, voice, and arms. The renowned actress, Katherine Hepburn, had ET, not PD. Differentiating ET from PD is very important because each condition responds to completely different sets of medications. Parkinson-plus syndromes may initially have the same symptoms as PD. But these syndromes also cause early and severe problems with balance, blood pressure, vision, and cognition and usually have a much faster progression compared to PD. Secondary parkinsonism can result from head trauma or from damage to the brain due to multiple small strokes (atherosclerotic or vascular parkinsonism). 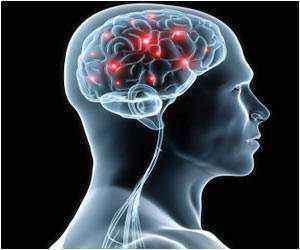 Both forms can be ruled out through scans (CTs or MRIs) that produce images of the brain. Pseudoparkinsonism can appear to be PD when in fact the person has another condition (such as depression) that can mimic the inexpressive face of PWP. 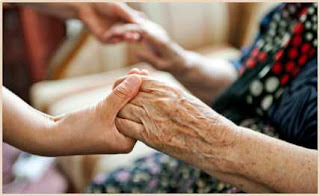 Drug - or toxin-induced parkinsonism can occur from taking antipsychotic medications (drug-induced) or from exposure to toxins such as carbon monoxide and manganese dust (toxin-induced). Drug-induced symptoms are usually (but not always) reversible; toxin-induced symptoms usually aren’t. The subtleties of diagnosing idiopathic PD may lead your family doctor to send you to a neurologist, a specialist in the treatment of neurological conditions. If that happens, don’t panic. Getting the correct diagnosis is the first step toward figuring out what comes next for you. You're so awesome! I do not think I've truly read through anything like that before. They don't want to be connected with only on AT&T community. in your favorite online tech assistance discussion board. Once you are successfully in DFU Mode, the procedure will start.